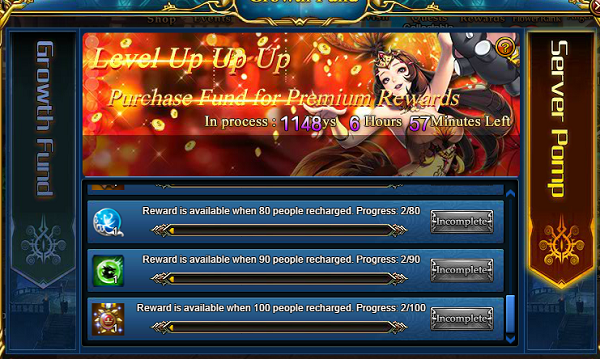 S156【Time Machine】official launch, New server gifts are waiting for you! 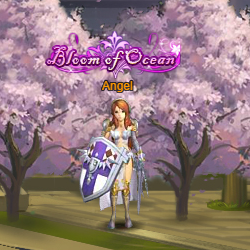 Blade of Queen, a RPG strategy web game which is based on western myths Beautiful scenery, pretty characters, vivid battle actions, gives you a different game experience! During the open beta, players are in high moods. So the new server S156【】will be officially launched at 06:00 Mar.16 (EST). To give you a better experience, we prepared special activities for you, come and join us! Activity Three: Accumulated Consumption For Abundant Gifts! 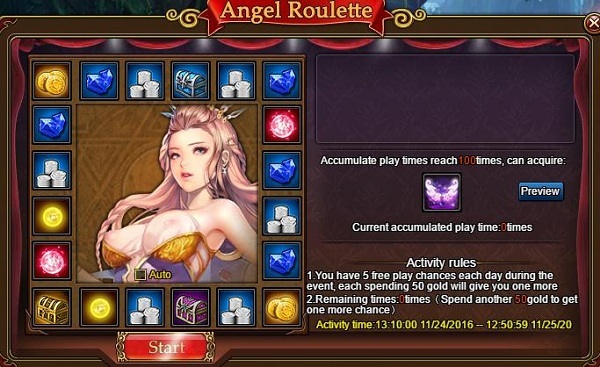 During the event, click the Angel Roulette to join the event. 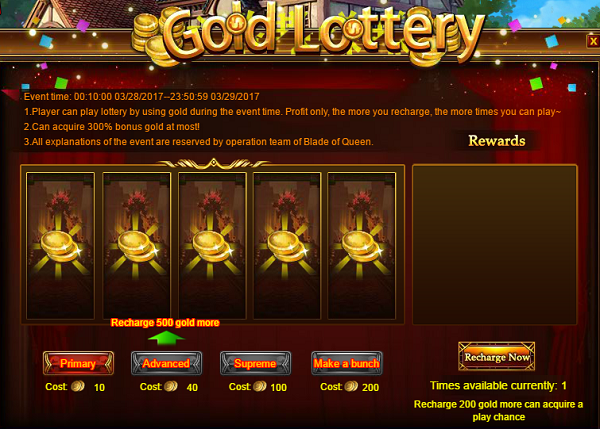 My heroes, you will have 5 free chances to draw the roulette to get rewards. 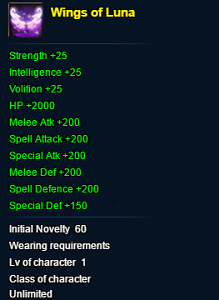 Each consumption of 50 gold is able to get an extra chance for drawing. 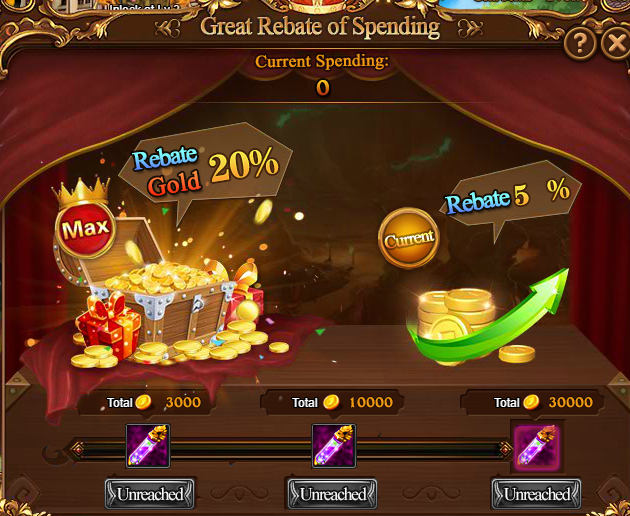 Activity Six：Great Rebate of Spending! Heroes can click the Voyage of Discovery to join the event. 2. 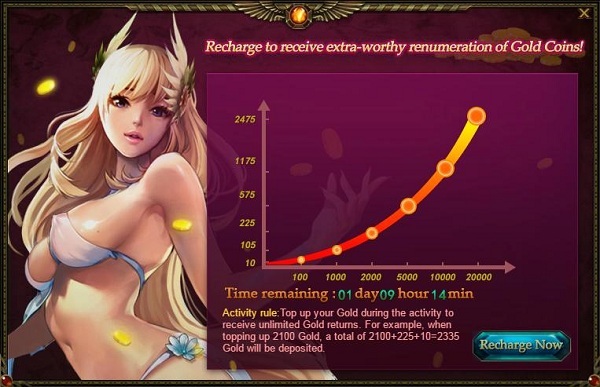 During the first three days of New Server, players can acquire 30 gold rewards each day. Three days rewards are 90 gold in total which can be added to VIP accumulation as well. Players just need to click the [Collector’s Reward] to create a shortcut of the game on the desktop, 50 gold will be rewarded. 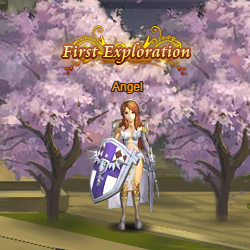 After collecting, players can enter the game through shortcut. 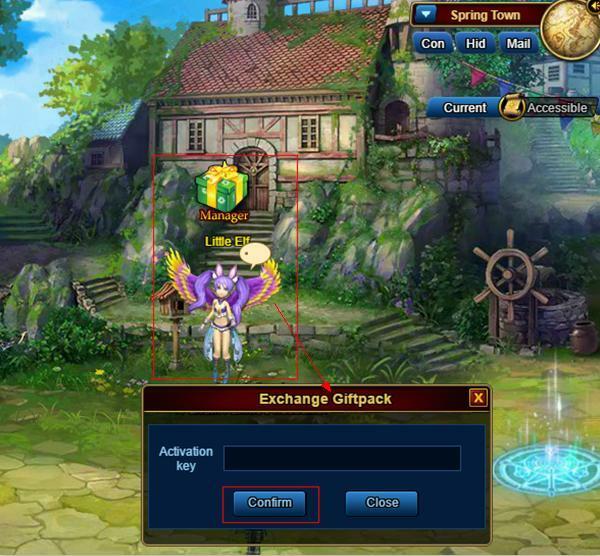 Players just have to attain New player code at the page of [Code Redemption] , and redeem the code in the game for a new player gift pack which includes 58 Gold + Stage 1 strength potion + Stage 1 volition potion + Stage 1 intelligence potion. 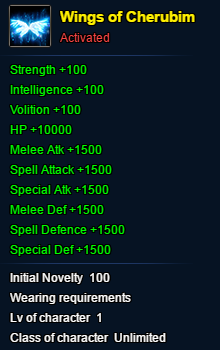 Note: Each Code can be only used once by each character at each server, over-claim won’t work. 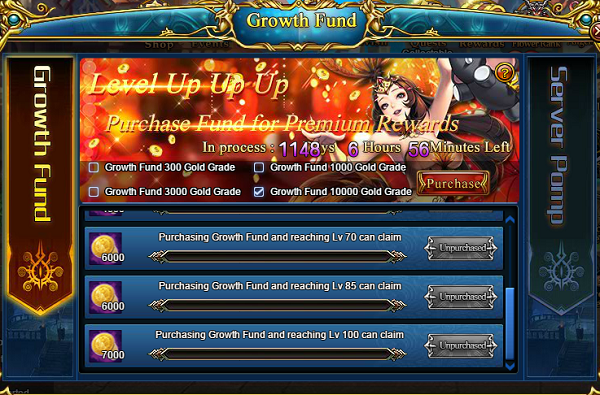 The 58 gold won’t be added to VIP growth. 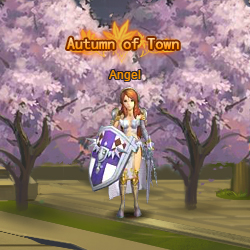 Enter New player code at Little Elf 【Spring Town】 to redeem, and click Collect reward to claim. Since the register of players, meet the requirement of online time to attain stamina. Players who recharged any amount of Gold can get bountiful gift pack. 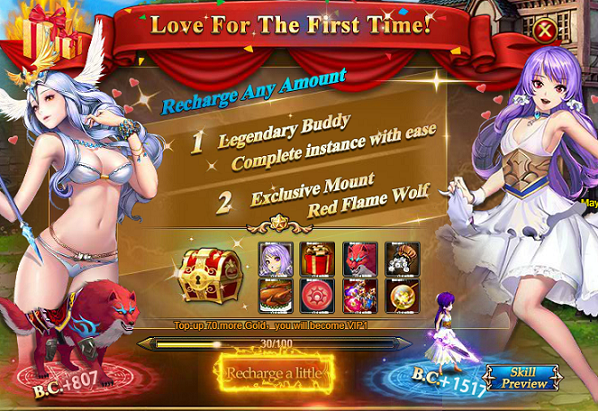 It contains Rare mount Red Flame Wolf，Buddy: Little Athena，Limited Title:Adventurer, Stellar Power Pack, 500K Silver, 200 Stamina, Stage 1 potion Pack, 2000 Talent Points. Note: Gift pack only can be claimed once. 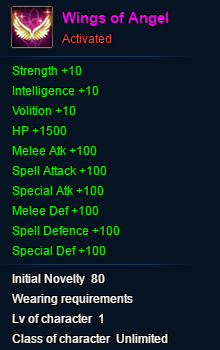 Activity Eight: New Server Gift! 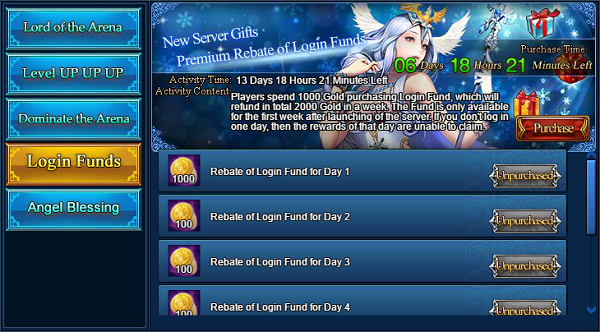 Login Fund For Premium Rebate! 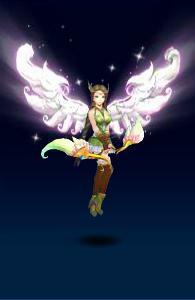 Heroes who reach the corresponding level can claim corresponding rewards. *Each Reward can be claimed only once. 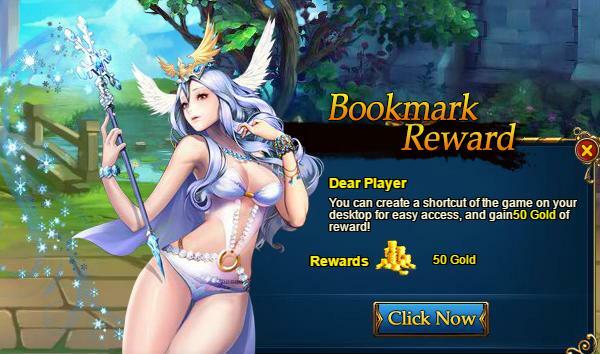 *Rewards will be sent through mail, please check it carefully. 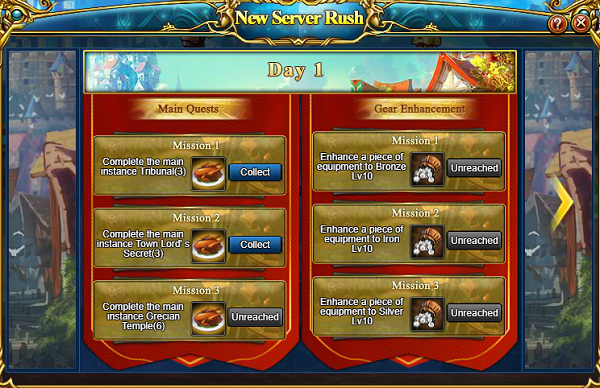 Activity Ten: New Server Rush! 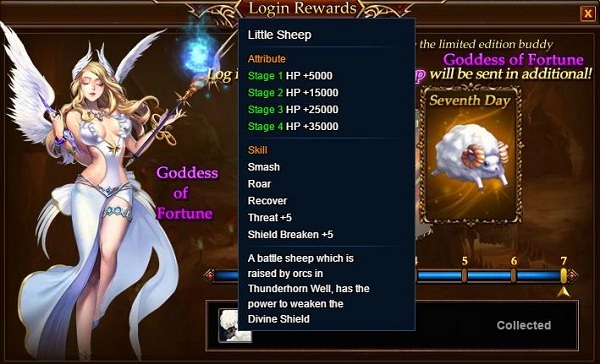 *Hero need log in our game during the Activity time to activate this event. 1. This activity lasts for 7 days after activating and there are different missions every day. Player can claim rewards after completing the missions. 2. Player can’t check the mission in advance but if player has completed the missions before it activated, you can directly get the rewards when you activate it. 3. The activated tasks must be completed on that day or you won’t claim the rewards.